Star Trek Spock Hoodie and go together. 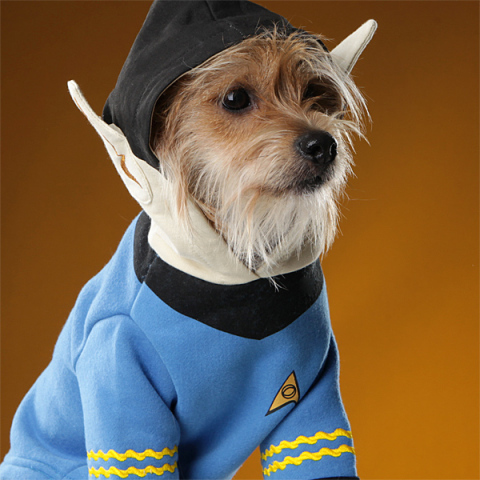 This adorable costume for your favorite little wing man instantly turns your dog into the inimitable Mr. Spock with his blue uniform shirt, bowl haircut, and pointy ears. 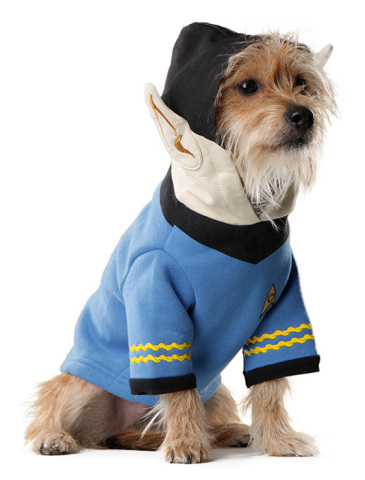 It is just the thing for dogs that are avid Trekkies. The shirt comes with the rank on the sleeves and the science insignia over the left breast. The pullover is 100% polyester and the hood is 100% cotton -- and it is all 100% machine washable. While the costume is intended for dogs, it can also be used for cats -- unless you know that you will suffer from severe carnage and blood loss for trying such a thing. 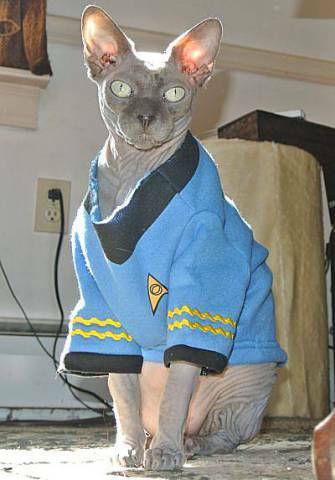 To order a Star Trek Spock Hoodie for your pet, click here.